Choosing the best remote desktop software can be difficult. What you intend to use it for, how often it’s going to be used, and who will be using it are what questions should be asked. Do you just want to be able to access your work computer from home? Maybe you occasionally help friends or family members who are less tech-savvy than yourself? Maybe you just want to make working across multiple computers a smoother transition. In this article will explore the best remote desktop software options out there for you. Teamviewer is one of the oldest and among the best remote desktop software. At the time of this article, Teamviewer is currently in the 14th version and is updated regularly. This product is the most stable remote desktop software tested and offers a wide arrange of features. The most used feature will most likely be transfer files from one computer to another. If you offer remote assistance then chat features are also useful to communicate with the other person. When the chatbox is used in combination with the whiteboard feature, which allows you to draw directly on the screen, an easily illustrate an idea to someone watching on the other end. Teamviewer has both an ID and Password which allows you to connect to a remote computer. It has both set a default password which is randomly generated after each reboot. It also has the ability to create a personal password to be able to sign in with. Teamviewer is available on Windows, Mac, Linux, Chrome OS, Android, iOS, Windows App, and BlackBerry. 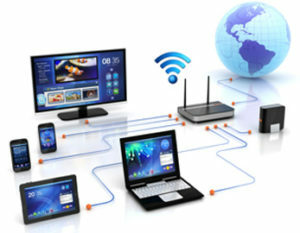 This flexibility gives you the ability to remotely connect to the most commonly used devices. Most businesses run on Windows-based machines and would connect to other Windows-based machines. This functionality might be more than what your business requires. When a product or service is polished and enduring companies will tend to charge more. Teamviewer is can be expensive, especially when scaling for larger businesses. If you want the best remote desktop software you will have to pay that premium. For 1 user with 1 session, it’s 49 USD per month. For multiple users who can connect to 1 session at a time, it is 99 USD per month. For multiple users, each with the ability to remote 3 separate computers simultaneously is 199 USD per month. Teamviewer does offer a Free Version for personal use only. When installing Teamviewer for the first time the program asks if this is for Personal or Private use. If you’re controlling one or two computers occasionally then the Personal use option works just fine. Don’t expect to be able to use the free version indefinitely if you’re running a business though. Teamviewer constantly monitors which computers and IP addresses are used. If you’re using it for more than the intended personal use your account will be flagged and eventually disabled. A company that creates the best remote desktop software doesn’t work on the honor system. Although it may not be the best remote desktop software there are cheaper alternatives to Teamviewer. Let’s explore those further. Logmein has a straight forward interface and allows for many of its features to be able to access through a web browser. Like its competitors it’s the goal is to allow for easy switching between multiple computers either for private or business use. This is one of the best remote desktop software available for many business applications. LogMeIn Rescue Console is able to remote control up to 10 separate computers at the time. Teamviewer, on the other hand, is limited to 3 computers. Logmein Rescue is ideal for anyone who wants to support a large user base with a small, efficient staff. In several of the plans, it also comes with 1 terabyte of cloud storage to help aid your staff in the switching between multiple computers. Logmein also has whiteboard functionality which allows for drawing on the remote screen, the laser pointer feature, as well as the file-sharing ability. The technician console requires Windows Vista and above to be able to install. OSX 10.7 or higher is also an option. The host computers which can be remotely controlled can be Windows XP or higher, OSX 10.7 or higher, Android, and iOS. The main thing that Splashtop offers are remote software that can do equivalent work to its competitors at a lower cost. The pricing for LogMeIn Rescue or Teamviewer might be too costly for some who just desire and convenience and not a business necessity. Although Splashtop might not be the best remote desktop software in this list it is a great back up option. To some, a lack of a free version for personal use, no drag and drop file transfer, no video recording, and no whiteboard feature are deal breakers. With Splashtop, there are also two separate installations required. One program will need to be installed to be used as the server. Then there is a separate program for the host computer. If you intend to be using two or more computers interchangeably as both host computer and server computer you will need to bounce between those two programs. For some that might seem clunky but might not be concerned for others. All and all it’s a great cheap alternative to some of the other more polished offerings. For the client machines Splashtop is compatible for iOS 9 or newer, Mac OS 10.7 or higher, Windows XP or Higher. This allows for a wide range of options for even on older machines. The most basic plan offered for Splashtop SOS costs $199 per concurrent technicians per year. The most extensive plan is $399 per concurrent technician per year. The top end plan offers support for unlimited devices on demand and unlimited unattended computers per tech license. 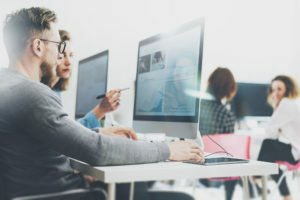 If the price isn’t an object, stability is a priority, and you only need to be concurrently connected to a small number of computers, Teamviewer is the best remote desktop software for you. If you need to be able to work on upwards of 5 computers at one time then LogMeIn is the best remote desktop software solution. If you don’t know if this remote software is something which is going to help your business but wants to try something new, then Splashtop is a great entry level experience. If you have any questions or concerns Rush Tech Support has extensive experience with remote software and would be happy to help. Please give us a call at 844-881-7874!